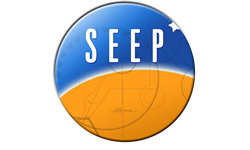 ValIda took part in the training course organised by the SEEP network on Assessment methods : Viability, Innovation, Scientific Creativity oriented networking training and instruction. The course was part of a Erasmus+ KA1 Project for teachers mobility. A delegation of school teachers from Turkey attended the course that included lessons, project work and visits to schools in Modica, Siracusa and Noto. ValIda was responsible for the setting up of the networking cooperation with the schools from Sicily and for the validation of the learning experience of the participants through the use of a self-assessment evaluation tool.